The 2018 Toyota Highlander is a midsize SUV offering robust engine options, a classy interior and a vast array of amenities. Available trim levels include the Toyota Highlander LE, LE Plus, XLE, SE, Limited and Limited Platinum. It’s powered by a 2.7 liter four-cylinder engine paired with a six-speed automatic transmission. 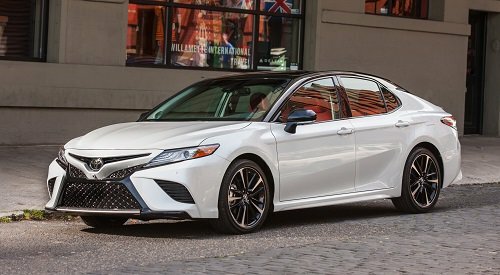 Buyers who want more power may want to opt for the 3.5 liter V6 engine with an output of 295 hp and 263 lb feet of torque paired with an 8-speed automatic transmission. The interior offers seating for seven or eight passengers depending on the configuration selected. Two sets of LATCH connectors are in place. Standard interior features include a rearview camera, adaptive cruise control, automatic high beams, USB ports, pedestrian detection and a 6.1″ screen. Optional available features include push-button start, a moonroof, HD radio, automatic climate control, adaptive cruise control, a 8″ touch screen, rear parking sensors, a blind spot monitoring system and surround-view camera. 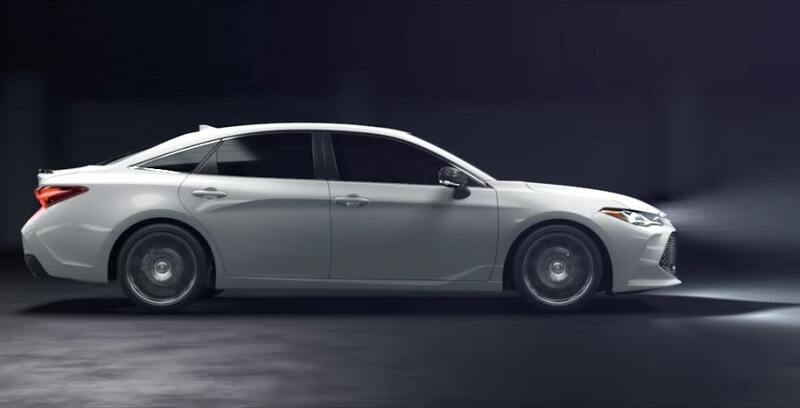 Standard safety features include air bags, ESC, daytime running lights, traction control and more. View our stock of 2018 Toyota Highlander in Rancho Santa Margarita, CA today. The Toyota RAV4 is a compact SUV offering a classy interior, lots of cargo space and vast array of safety features. 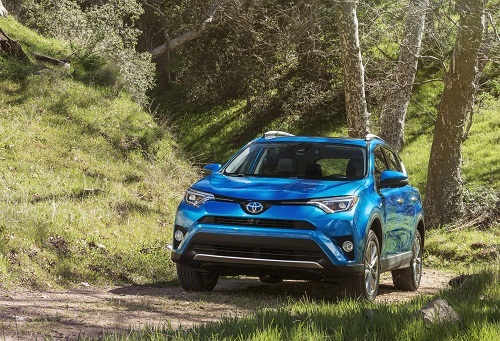 Available trim levels include the Toyota RAV4 LE, XLE, SE, Limited and Platinum. It’s powered by a 2.5 liter four-cylinder engine with an output of 176 hp paired with a six-speed automatic transmission. Various driving modes are available. Front-wheel is standard with the option of all-wheel drive. The interior offers seating for five passengers with cloth seats. Standard seating features include an adjustable driver’s seat and 60/40 split-folding seats. Optional seating features include a power adjustable driver’s seat and synthetic leather seats. Standard interior features include a USB port, stereo system with six speakers, Bluetooth connectivity, rearview camera, adaptive cruise control and a 6.1″ lcd. Optional features include a 7″ screen, sound system with 11 speakers, dual-zone automatic climate control, 360 degree camera and a blind spot monitoring system. Cargo space stands at 38.4 cubic feet and is expandable to 73.4 cubic feet with the rear seats folded down. View our selection of 2018 Toyota RAV4 for sale in Orange County, CA below.